It is estimated that only 1,860 giant pandas remain in the wild today. Adopt a Panda and help WWF to protect their future. 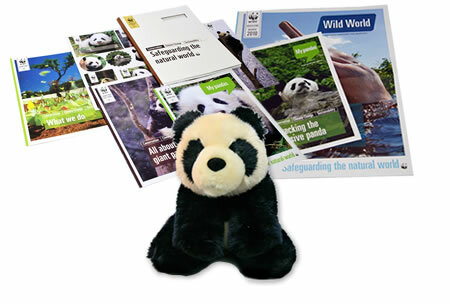 Adopt and receive a cuddly toy Panda, a fun filled WWF adoption gift pack, plus updates on your animal three times a year. There are as few as 1,860 pandas remaining in the wild today. Panda conservation has been one of WWF’s great success stories. In fact, the giant panda serves as the organisations logo. Three-quarters of all pandas in the wild now reside in nature reserves and their outlook is good. 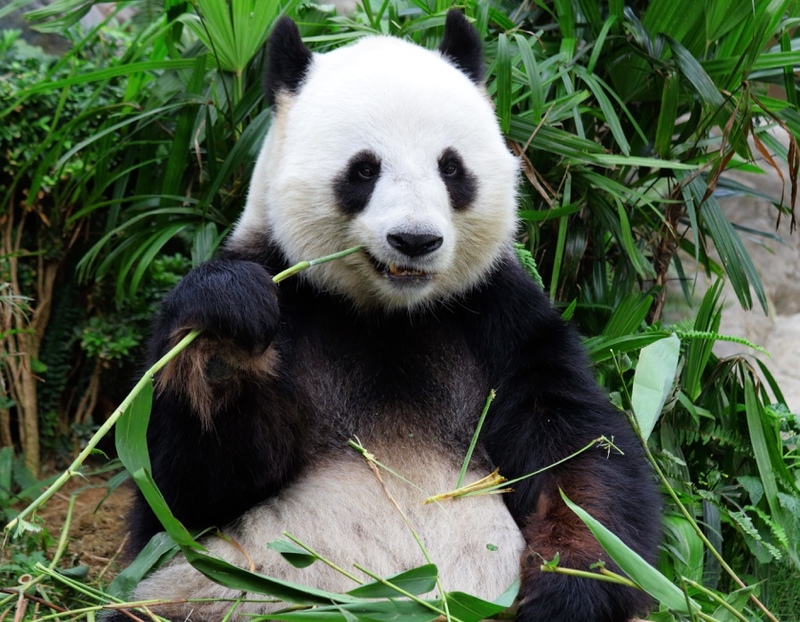 Giant pandas no longer feature on the IUCN Red List which means they are no longer endangered. Whilst it is good news that the giant panda is no longer on the brink of extinction, they still face many threats and need our support. 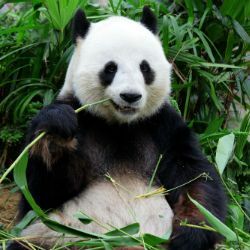 Adopt a panda with WWF and help them fund the creation of ‘green corridors’ to link isolated giant pandas. 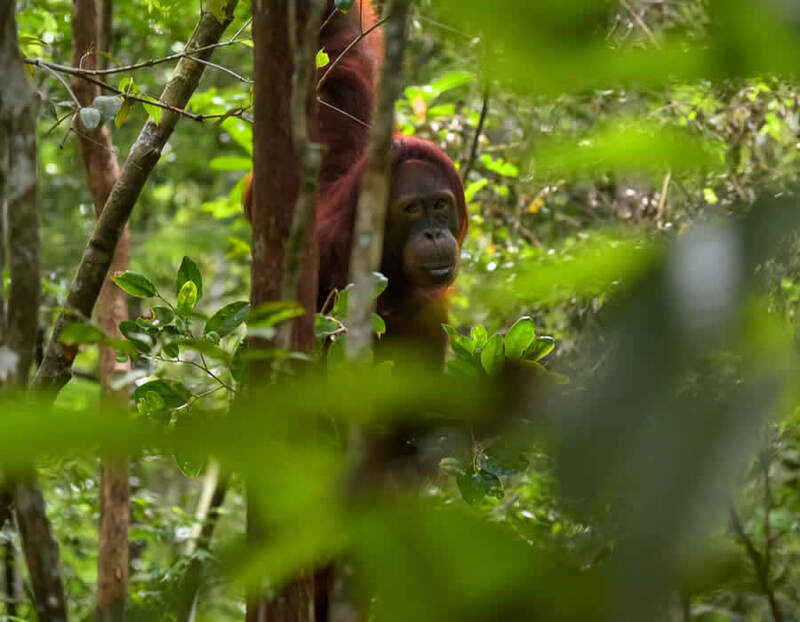 They will also create local nature reserve management, and patrol against poaching and the illegal logging of the panda’s surrounding habitat. Provide access to adequate food supplies. So the hard bit of stopping poaching has been successful, but we have failed to ensure that giant pandas have access to adequate food supplies. Humans have been harvesting their main food source, bamboo. 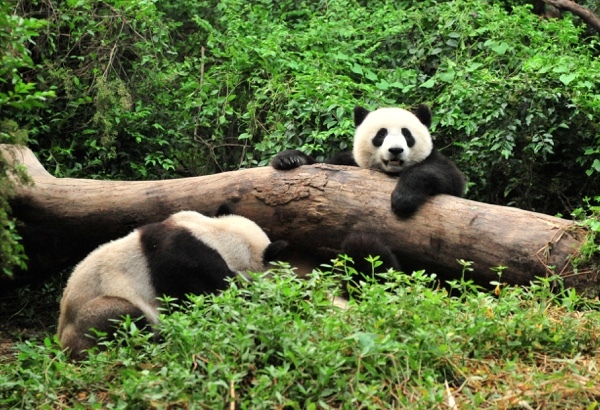 They have also been degrading giant panda habitat by collecting medicinal herbs. Obviously, this is a problem we can successfully deal with but need your help to do it. By adopting a giant panda through WWF, you will help the organisation ensure the giant panda population will continue to thrive. 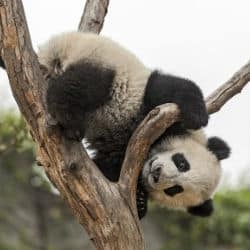 Habitat destruction is the main reason why so many species all over the world are threatened and despite the fact that the vast majority of giant pandas live in nature reserves, they are still not immune. These nature reserves are being dissected by roads and railways and this leaves panda populations isolated from one another. Isolated panda populations prevents breeding from taking place which means the success we have had with the conservation of the giant panda is being undermined. By adopting a panda you will be funding the important conservation work WWF does in ensuring pandas can continue to breed. 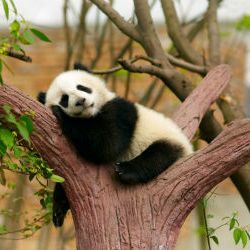 The reason why giant pandas are found in only one part of the world is because they are extremely sensitive to their climate which allows bamboo to grow. If we continue to allow temperatures to rise, all the hard work that led to the success of panda conservation will have amounted to nothing. Help WWF advocate against carbon emissions by adopting a panda. Pandas are famous all over the world and it’s not surprising that people come from far and wide to see them in their natural habitat. Unfortunately, tourism has not been managed in a sustainable manner and this has put pressure on the panda’s habitat. By adopting a panda you will be helping WWF partner with the government in adopting eco-friendly tourism policies which ensure that panda populations continue to grow. Adopt a Panda and the recipient gets a beautiful gift pack to let them know just how much you care about them. An optional cuddly toy of your Panda. 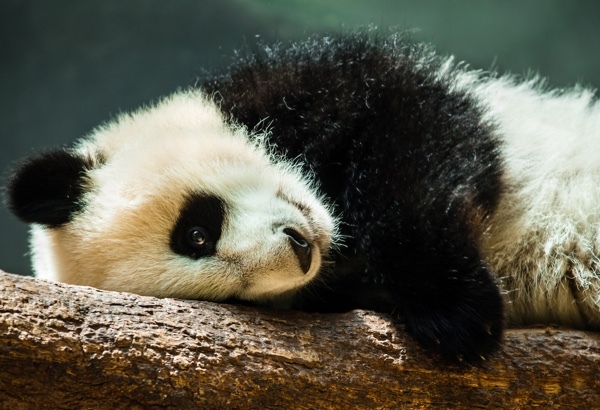 WWF's "Wild World" and "My Panda" with news and updates for your adopted animal. Whilst the giant panda is considered a national treasure in China there are less than 1,860 left in the wild. 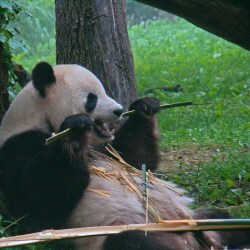 Giant pandas have a special bone that extends from their wrists called a “pseudo-thumb,”. This “thumb” is used to hold and manipulate bamboo. During the summer the panda will climb as high as 13,000 feet up the mountains of the areas they live in during the summer so they can feed. A giant panda living in the wild has a life span of approximately 20 years. Our team bring your the latest Panda news from around the globe.